Like moleskin for your shoe, ENGO patches are touted to reduce friction and prevent blisters. 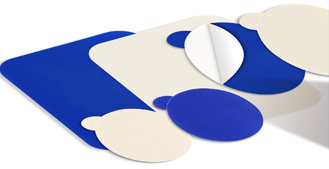 Essentially Teflon-coated stickers, the small blue patches can eliminate that most common of blister-causing problems: Friction. In my test, the patches worked. I used them with a pair of shoes that typically gives me blisters. On two occasions — after walking around for hours at a stretch — my heel was blister- and pain-free. 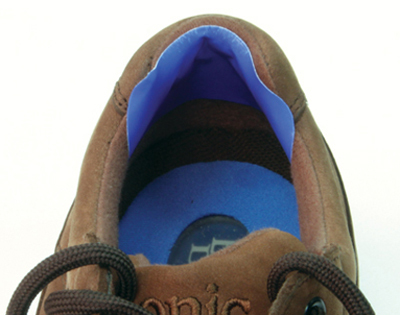 The company touts the patches to last inside a shoe an average of four weeks. Beyond just shoes, you can stick them to trekking pole grips or other surfaces that might rub skin raw. The patches are available at www.goengo.com starting at $8 per pack.